What can I say about having a toddler in a studio? Oh, I have a lot to say! 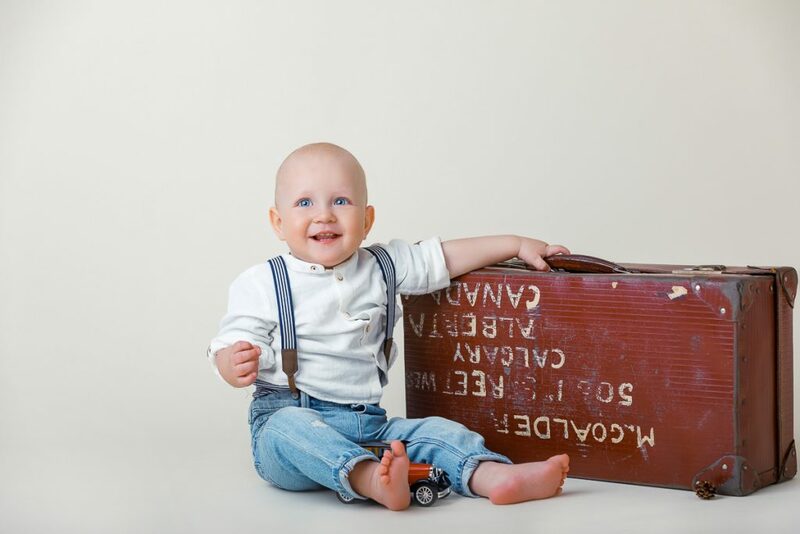 I’m not sure who I have to become when I have a one year old kid in front of my camera! I’m either a clown, or a dog, a cat, a cow, a spider or a plane! I am everything that makes the baby look at the camera and SMILE! 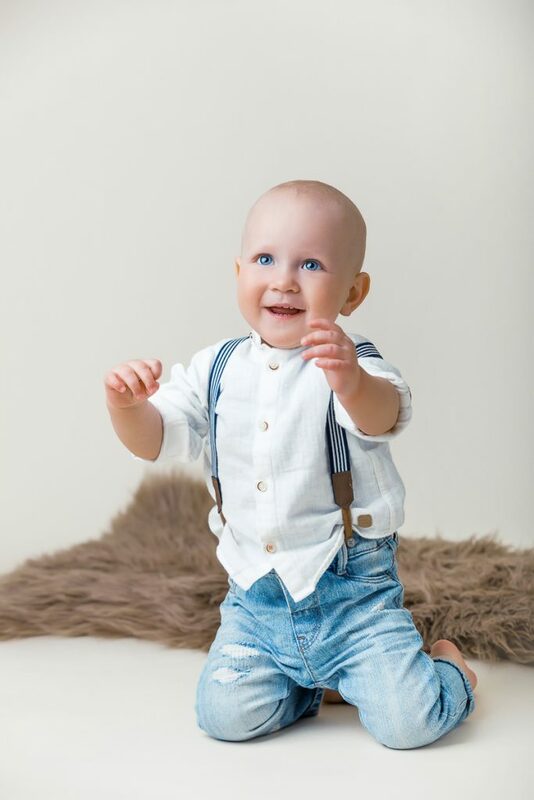 So, let’s talk about studio session for a toddler! 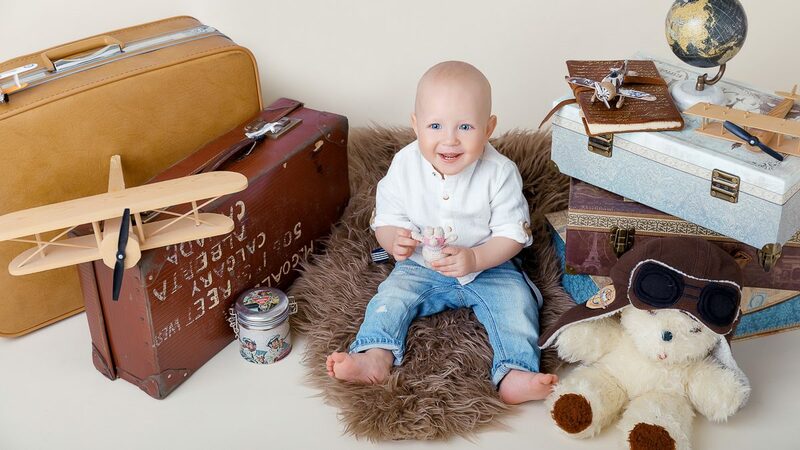 Ask the clients to bring everything they can; favourite toys, cookie or dolls or cars. Parents should be ready to help the photographer and try everything to catch the kid’s attention: jump, clap, meow, bark. Anything loud and funny. The baby should not be hungry and/or tired. A good meal before the session can help a lot. Do everything to make your toddler happy beforehand. 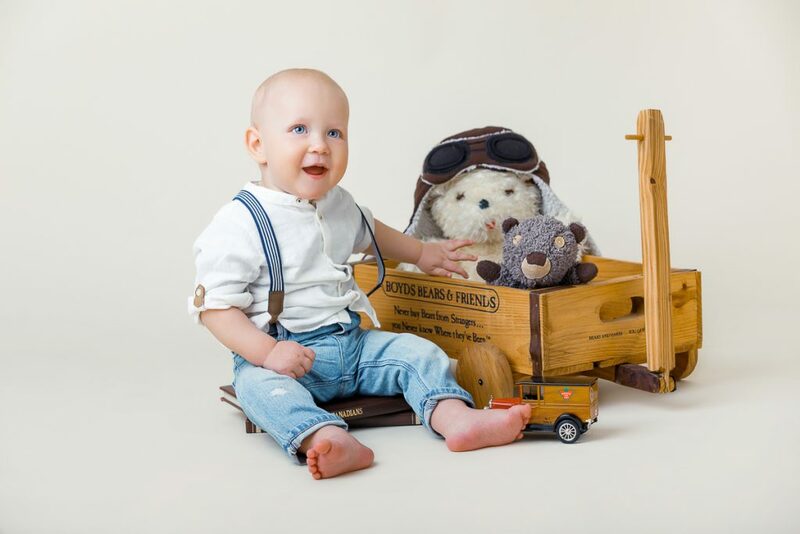 The session can be stressful for the baby, so if you can choose between studio photography or outdoor option, don’t think twice, choose the outdoor! Studio session is five times more boring for a kid than park photography! Boring doesn’t sound helpful. Kids become angry and don’t want to cooperate. Don’t change the outfits many times. Little babies don’t like changing, so it can make them nervous. Bring siblings if they are older and cooperate better with parents. It can reduce the session stress. Bring the baby’s favourite music or download it on your phone. But avoid giving the phone to the baby. Nowadays kids love gadgets too much. If the baby is tired take a break. 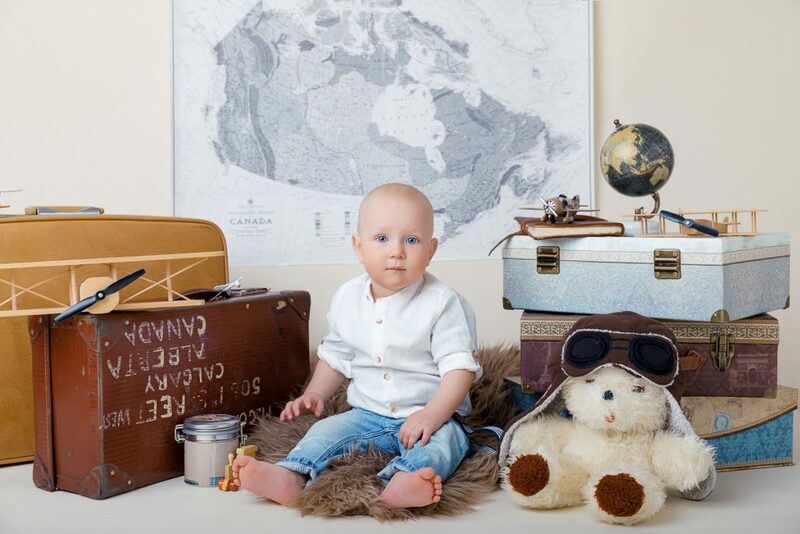 If you have the family session altogether with a separate kid’s shots, start with his/her photography first. By the time the baby is done, he/she will be more happy to continue with Mommy’s or Daddy’s hugs. Never push your kid to do what you want. It makes the baby as well as the photographer very unhappy. You need to feel the baby limits. 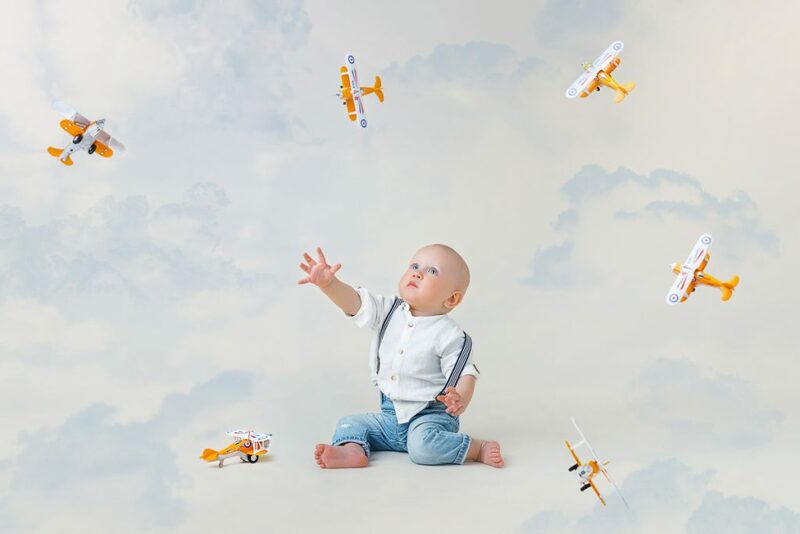 Timur’s Mom, very talented painter Elena Anisimova, wanted to have the planes and travels themed session. So, I grabbed everything I had in my storage to create props for this adventure. And we were clowns, dogs, cats, and planes. My son, a 17-year-old teenager, had the most success with distracting this little man, but the toddler’s superpowers won and we had to surrender. But I am more than happy with the result, as well as with his family! Here is an awesome article from another fellow about kids sessions. 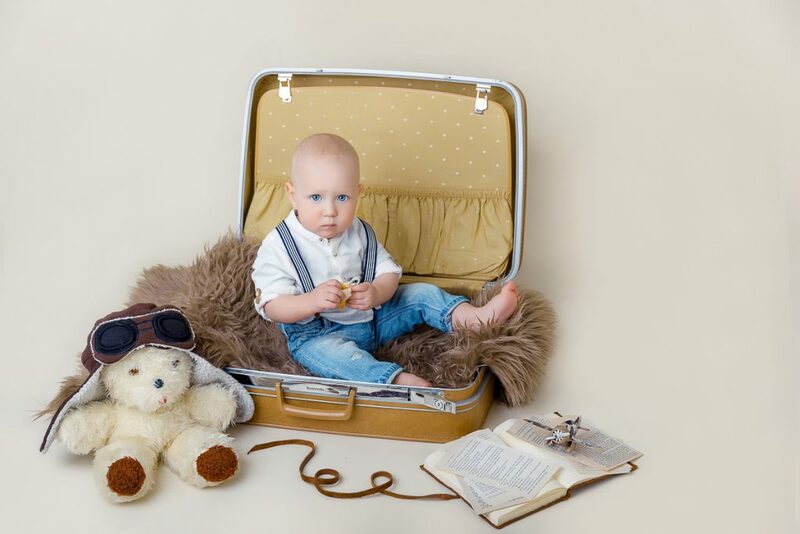 I tend to mostly do tricks; as we, photographers, have to be creative working with such a cuteness. Believe me, this hard work is worth every successful shot we take!